With participation in student-run firms and internships taking precedence in the “free time” of public relations majors, writing for your school’s newspaper may seem like a waste of time, but I assure you it is not. This past year, I served as an editor of my school’s student newspaper, the Yellow Jacket. Through this experience, I gained a lot of transferrable skills that have proved useful in the two public relations internships that I held this summer. 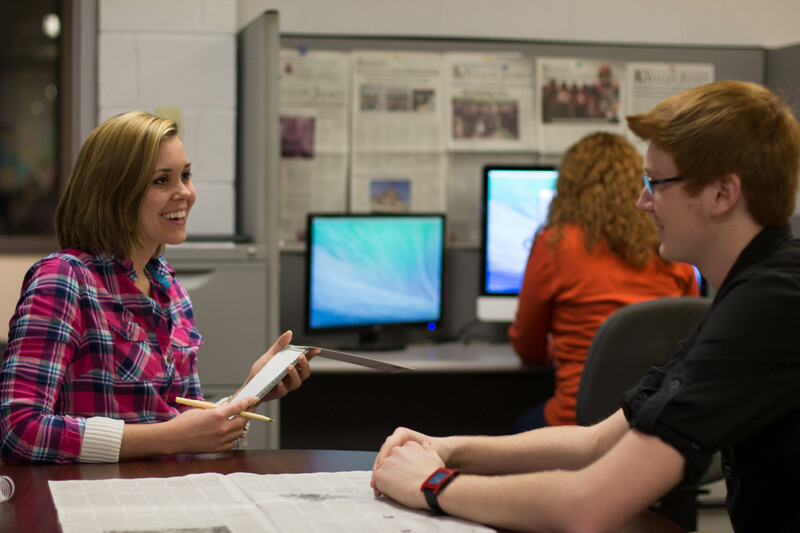 Here are five reasons that you should write for your student- newspaper. 1. You will strengthen your AP Style skills. Becoming proficient in AP Style is like learning a new language. Maybe you’ve learned some of the basics in classes or through writing press releases, but AP Style requires serious practice and application to become fluent. Writing for your student newspaper is the perfect way to develop fluency in AP Style. You’ll constantly need to reference your AP Stylebook for accuracy, forcing you to familiarize yourself with the many rules on grammar, punctuation and journalistic style. 2. It will help improve your storytelling. Storytelling is a buzzword in public relations for a reason; it is an essential piece of connecting with your target publics. But telling an effective story is often easier said than done. Have you ever sat down to write a press release and struggled to find where to begin or how to end? We’ve all experienced this type of writer’s block. In writing regularly for your school’s newspaper, you’ll write a variety of articles on vastly different topics, helping you to cultivate your own unique style of writing that will help you to masterfully illustrate tales no matter how complex their plots may be. You may never write journalistically beyond press releases, but odds are that you will write advertorials, feature articles, social media posts, blog content and newsletter articles, and storytelling is essential to all of these . 3. It will provide you with killer interview skills. Sam interviewing a student for an article. If I had to choose my biggest takeaway from my time at the paper, it would be growing more comfortable in different professional settings. While writing for the paper, I had to reach out to total strangers on a daily basis to seek information, quotes or to set up a time and location for an interview. Through this daily ritual, I acquired email etiquette, greater confidence in making phone calls and ease in meeting with someone to acquire further information for a story. Now when my internship supervisor asks me to make a phone call or to reach out to a stranger, I don’t sweat it. That isn’t something I could say before paying my dues at the paper. 4. All of the editing will help to improve your writing. Just as teaching another a subject can strengthen your own understanding of a topic, editing another person’s writing can make you a stronger writer. When you spend hours crafting a paper or news release, it can be difficult to catch your mistakes, but if you edit someone else’s work, odds are you will find a lot to critique. Noticing the errors of others can help inform you of what is good writing, which can benefit you. 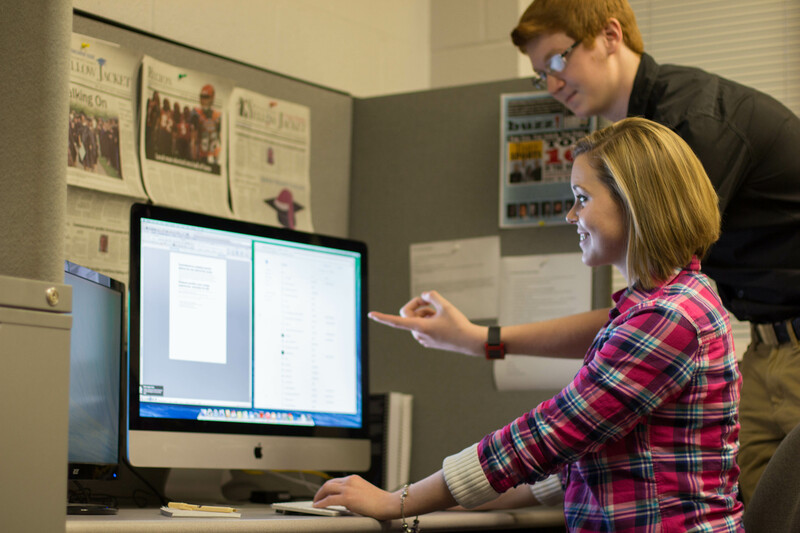 School newspapers are typically in desperate need of editing assistance, as an article must be proofread several times before publication, so take advantage of the opportunity and assist them in their editing process. 5. You’ll develop workplace skills that will assist you in your future career. In my time at the paper, I developed stronger leadership and teamwork skills, as well as the ability to produce quality work on a tight deadline. When undergoing the grueling process of applying for internships this past spring, I repeatedly referenced my time at the paper when asked to explain a challenge I’ve faced and how I overcame it. Relying on others to produce quality work and fill my section of the paper often presented challenges. The skills I acquired in writing for the Yellow Jacket helped me to land my summer internship and excel in my position as I am required to utilize AP Style, interview subjects, edit and tell stories. I will be forever grateful for the underlying building blocks I learned in writing for my school’s newspaper. A day rarely passes where one of these lessons doesn’t benefit me. 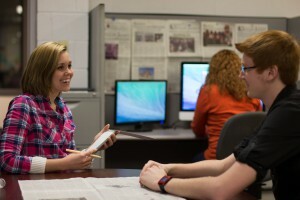 How has writing for your school’s newspaper helped you in your public relations endeavors? Samantha Peer is a senior at Waynesburg University. She is the professional development coordinator of Waynesburg University’s Chapter of PRSSA. Connect with her on LinkedIn and follow her on Twitter @sam_peer. Great article. I too am involved with my school newspaper, The Spartan, at York College of Pennsylvania. I was recently appointed copy editor. You are more than correct in all 5 of your reasons to be involved, but one other reason that I would add is that it allows you to expand on your knowledge of how an organization operates (Because a newspaper is essentially an organization, correct?). Attending meetings with advisers, co-running staff meetings with the editor-in-chief, and delegating tasks to other editors and writers are just a few of the responsibilities that have expanded my knowledge of organizational life. The copy editing position has also been benificial to me as I am also the YCP PRSSA’s chapter president. If I am ever struggling with a task while working with either PRSSA or the newspaper, I can always work off of how I may have handled that task while working with the other organization. I feel that this unique opportunity will benefit me moving forward into a full-time position in the PR industry one day. Thanks for your comment! I definitely agree about the insight gained into how an organization operates. Teamwork dynamics probably also play into that. To be a leader amongst your peers while also reporting to advisors is tricky, but definitely a great skill for the future. I agree that your experiences will benefit you moving forward, and I wish you the best of luck in your future endeavors! Thanks again for the comment and I am so glad that you liked and related to the article!